One of the popular phrases in the online travel space lately has been “price parity”, an idea pushed by the OTAs (online travel agencies) and expected of the supplier, as outlined in this article. If I were an accommodation operator, I would ask myself, “why does it matter, surely I can play with prices across the sites I deal with, who will even notice?” Not only that, as an operator I would naturally have better relationships with some OTAs than with others, and I would like to offer better prices on x site versus y site. Factor in a variety of commission levels across OTAs and all of a sudden it is conceivable I would have a wide variety of prices online for even my core products. Unfortunately, one of the immutable truths of online travel consumption is that people shop around, and price differences will be noticed by the online shopper. Usually, these differences will not matter – the traveller will merely take advantage of the lowest price they find and book there. Aggregator sites have ensured that this is a simple task. Commission levels on retail sites are a cost of doing business. If you have decided that the audience provided by an OTA or a network of resellers is valuable to your business then you have to accept the commission level charged by that site or group of sites. If the commission level is too high for you, don’t participate in that network. If you follow these key points, you’ll have happy OTAs and happy online shoppers. TRENZ for Exhibitors – To go or not to go? Some great points Daniel. I help a lot of accommodation operators with their online marketing and I have to say using a channel manager is the best way to get it sorted and automate the whole process no matter whether you are a hotel or a small B&B, it works for all. Daniel, I really wish more accommodation providers would see the retail world through these guidelines. I have tried promoting exactly these guidelines to our local operators but for the most part it gets howled down. Howled down to the point where some providers will not take bookings through the i-SITE because they will have to pay a commission. I guess this is one big difference between big hotel chains and smaller motel operations. These are all very good points. Articles and websites like this will hopefully help educate operators to market themselves better online. Is not good enough just to list on a sales channel and wait for the bookings to roll in. I suggest to operators to add value or try minimum stay rules for sale channels if any reluctance to pay a commission, compared to paid advertising commission based sites are easier to track success, “no bookings no cost”. 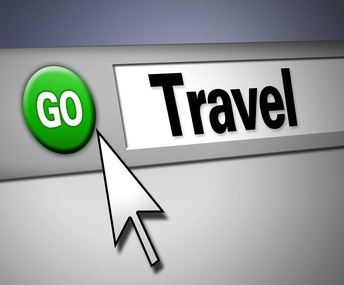 More sites like Travelbug are offering booking availability all year round not just the traditional last minute bookings anymore. Operators need to plan their pricing and availability better. Don’t just think about the now. Use Sales channels to bring you bookings when you need them. Price parity should be thought about seriously in a good marketing plan. There is a mentality that seems to be particularly entrenched in the motel industry that is to add commission to tariff (or to avoid commission business all together). This unfortunately exasperates tariff integrity and is one of many reasons why the hotel sector has surged ahead of the motel sector. There is a reality that many operators will set tariff according to the level of the commission and will turn off channels over peak demand in order of the cost imposed on sales by individual OTAs. However, I couldn’t agree more with the benefits that you have outlined with rate parity across all OTAs. I do accept that differing offers from the same accommodation property IS confusing to guests and will put a lot off booking online. I would suggest that not only should operators set tariff the same across all OTAs; room types, room descriptions and cancellation policies should also be the same across all sites. I won’t even start on rate parity and those dreaded roadside rate boards…that’s another article. Thanks for the comments. Motella – you’re probably right about that particular guest sounding like someone who was shopping around, wanting to book direct but confused at why the direct price was so high. I think the point holds true, however, as the variance in pricing across the sites they viewed led them to question even the very low price. It seemed too good to be true, but luckily for the hotel in this instance they decided to check rather than moving on entirely. Would be interesting to hear from some accommodation operators on their thoughts. I agree with most of the above, however there are some sites, agoda venere etc that make it hard to have price parity as they will discount your rooms at the expense of some of their commisions. A good thing i know but still can make the consumer that shops around a little cautious. Maybe this is a trend some of the other sites could perhaps put into their structure. Fear not, in the not too distant future things will change, Time for change is upon us! Kayne can you elaborate on the comment you made about “in the not too distant future things will change”? Practising rate parity is essentially not a difficult thing if you have set rules in your channel manager, however the difficulty lies in how the hotel manages an OTA with an exclusive deal. This I belive it the most challenging issue in todays marketplace. If a property would like additional marketing exposure from an OTA to increase not only their bookings, but rankings and branding on a given site, then more often that not an ‘exclusive’ deal must be given, which in turn affects rate parity on other sites. Thanks Hazel, I don’t think there’s anything wrong with short term promotions that require exclusive deals (as long as the site can justify the exclusivity). The issue is more with different rates on an everyday basis. I found very interesting and simple the way you talk about this. I work in a hotel company and have parity issues almost every day, through the different channels. You talk about “Channel management Software” to deal better with Parity. What kind of software do you recommend to use? Hi Santiago, try something like Siteminder or Eziyield. There are many out there if you research it and best to find one based in your own market that provides channel management to key distribution that works for you.